It's commonly said that a picture paints a 1000 words. However, is there a way to analyze what draws a person to a particular picture, or which part of the image makes the most impact? 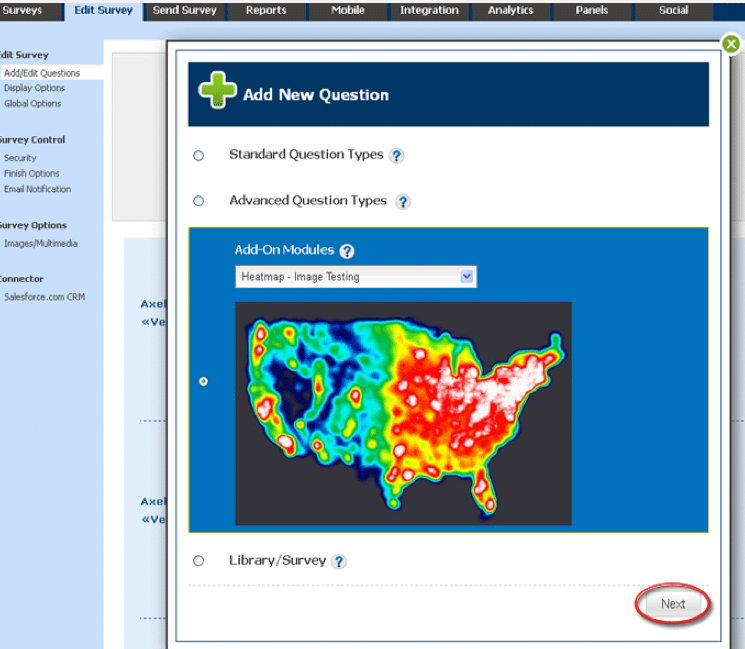 Now this can be done using the new Heat Map question type and analysis tool. 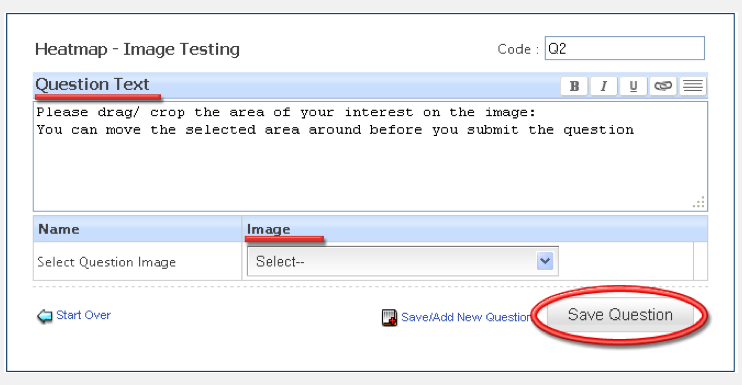 From Add-On Modules select the Heatmap - Image Testing question type from the Image/ Multimedia list and click on the Next button. Image: Select the Image from the drop-down menu. 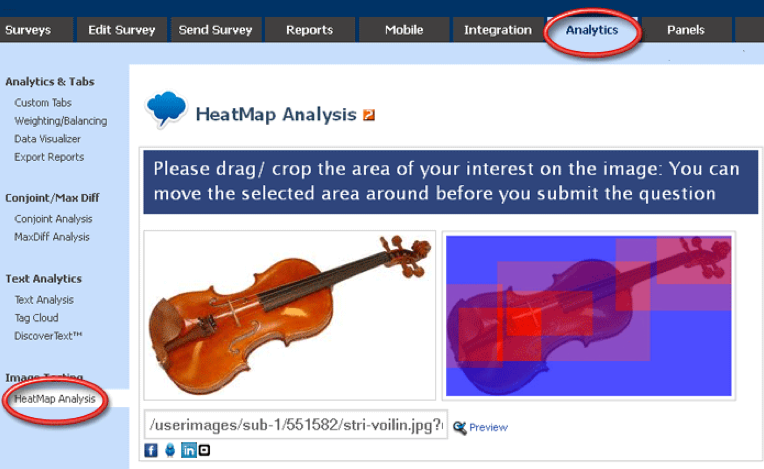 You have successfully added the Heatmap - Image Testing question to your survey. 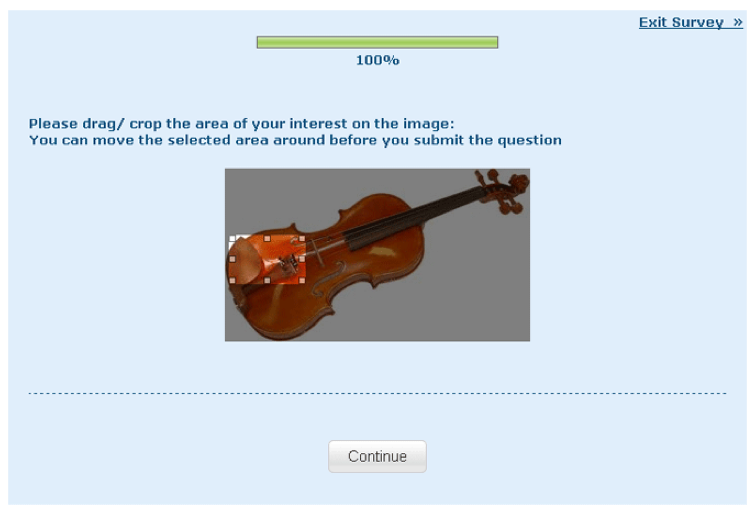 As seen in the picture of the violin you can tell the areas in red overlap one another are the parts of the picture respondents are most drawn to. The areas that are chosen most will be the most vivid in comparison to the rest of the picture. The Heat Map question type will be great for image and logo feedback, print ads, advertising, brand recognition, and more.